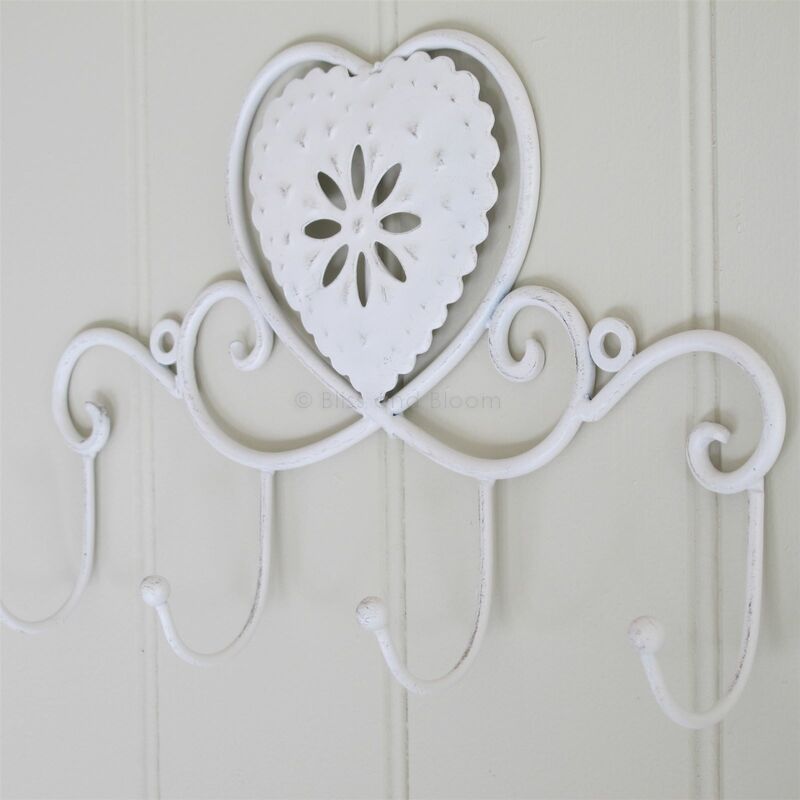 Heart wall plaque with 4 hooks. Metal scrolled design. Painted off white with an antiqued and lightly distressed finish. 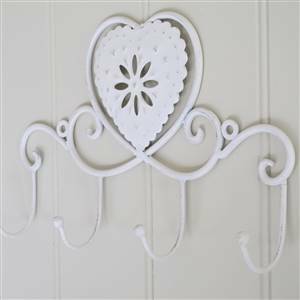 Has fixing holes for easy hanging. H 18 cm W 27 cm D 5cm.